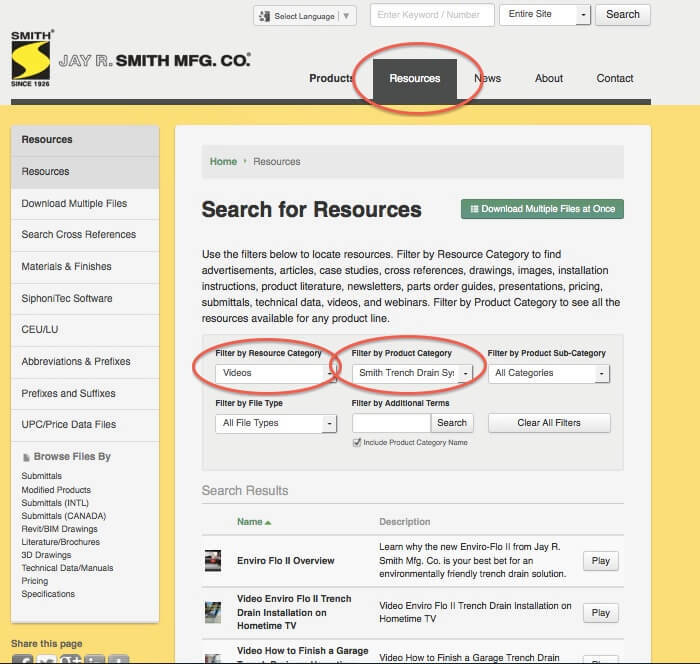 Helpful Features On Our Website You May Not Know About - Jay R. Smith MFG Co.
You may have noticed we’ve recently updated our website. We didn’t just do this so it would be more appealing visually. The updates were made with you in mind. We wanted to make it easier for you to access the information you need. We looked at what information is accessed the most, and then made that information even easier to find. We also listened to you when you told us you had trouble finding certain information, and we designed the site so it was easier to navigate. Here are some changes and features you may find valuable. From anywhere on our website you can click on the “Products” menu. Then, on the left side of the screen you can choose “Lead Free Products” from the menu. Smith Chrome Plating provides decorative chrome plating (hexavalent) for a wide variety of products including antiques, automotive and motorcycle parts, dental, surgical, hospital, fire protection, food processing, and retail display equipment. We gladly take on requests for custom products and modified products. Whether it’s customized roof drains or custom stainless steel grates, we’ve got you covered. 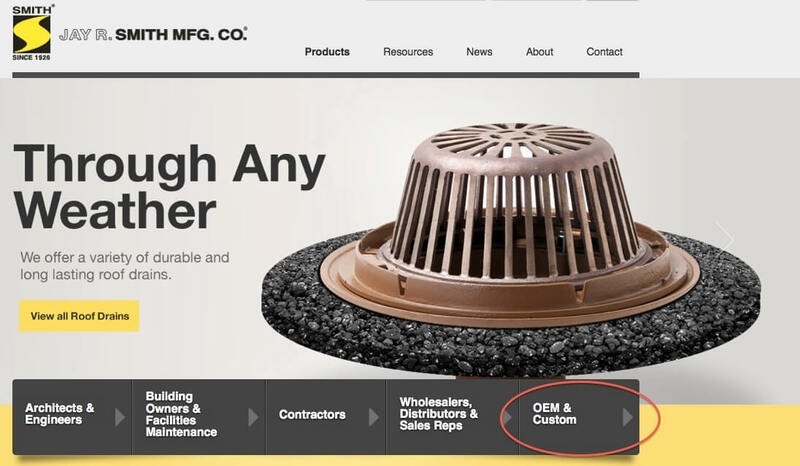 Simply click on the “OEM & Custom” button on our home page for more information and to request a quote. We’ve designed our website to be a resource for you. Whatever you might be looking for, we want the information to be easily found. Our “Products” menu is your key to accessing submittals, specifications, brochures, parts order guides, installation videos, case studies, drawings, options and variations, and much more. From the moment you log on our website, it takes as little as 35 seconds to find and open a submittal for any of our products. Not exactly sure what you’re looking for? That’s fine too. 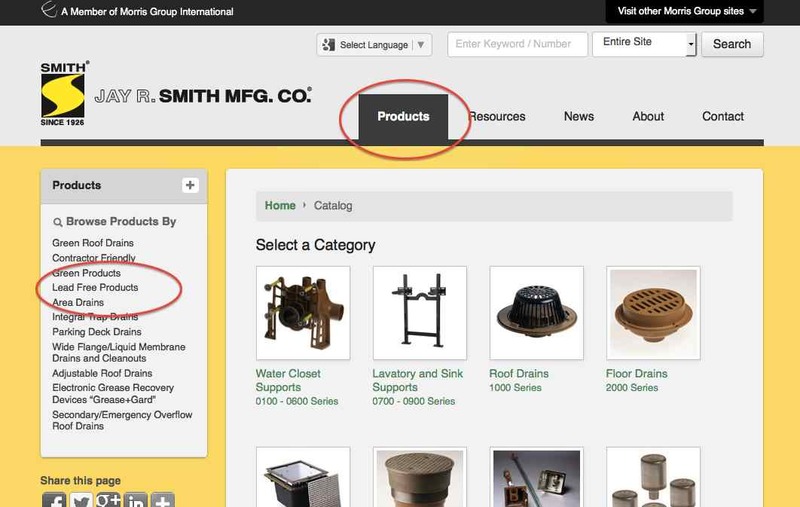 At the top of every page is a search box where you can enter a keyword or part number and pull up every resource we have related to that search phrase or number. We are very proud of the extensive resources we have available on our website. Resources for you such as base model comparisons, material and finish guides, SiphoniTec® software, continuing education and learning units (CEU/LU), a glossary of abbreviations, prefixes and suffixes, and UPC/Price data guides plus all the resources searchable above for all our products. Looking for an installation video for our trench drain systems? 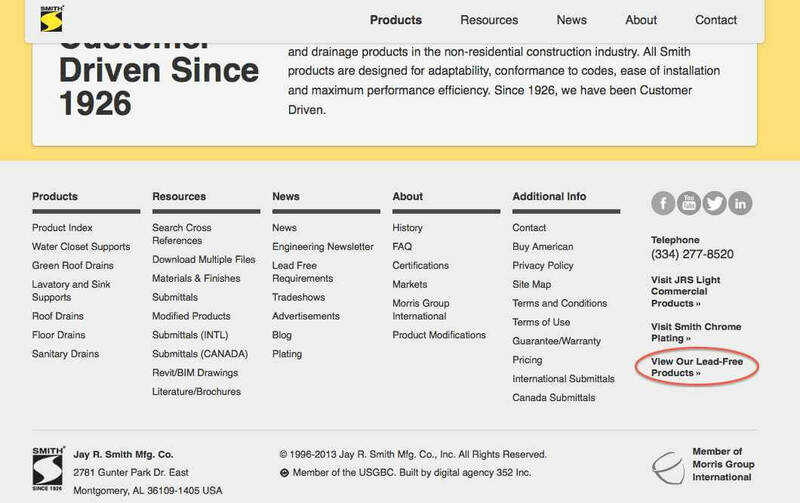 Click on resources, choose video in the “filter by category” box, choose Smith Trench Drain Systems in the “filter by product type” box and in less than a minute you have a list of all our available videos and can watch them right from that screen. Speaking of screens, we also made the site accessible on your smartphone or tablet. We wrote all about that earlier here and you might find some of the lessons we learned in that process valuable for modifying your own website. If there are other features you would like us to add please head on over to our Facebook page and let us know in the comments.